Sleep training can help children fall asleep faster, and have fewer night time wake ups, states a new study in the journal Pediatrics. While parents might find the idea of sleep training daunting, the study demonstrated that sleep training did not stress out babies. Babies in the sleep training group had lower levels of cortisol, the stress hormone, compared to babies in the control group that had no sleep training at all. While opponents to sleep training might say that it is stressful for children, the study found that babies who were sleep trained had no different levels of attachment compared to other babies. They also did not have higher rates of behavioral problems later on in childhood. In short, the sleep trained babies were just as happy and well adjusted than the control group, they were just getting to sleep earlier, and getting more of it! The key take away from the study: babies who were allowed to cry learned how to fall asleep faster and on their own compared to the control group. Let’s face it: babies do cry. And of course, if you are changing anyone’s normal sleep habits there is going to be some protest. If I came into your house and took your pillow and blanket and said to sleep on the kitchen floor you might not cry, but you’d be fairly upset with me. Also keep in mind that the younger the child, the fewer lines of communication they have. Crying is their way of expressing themselves. Now, I do not encourage a full-on cry-it-out “extinction method” (most times, true “extinction” doesn’t work either) and parents must always do what they feel comfortable with when it comes to crying. That is what I help parents with. When it comes to babies crying, I encourage my families to not be thrown — this is baby’s way of saying “I am tired, and I just want to go to sleep.” Parents who are consistent in their method of getting baby to sleep independently only have to deal with baby crying for a few nights before that baby is soothing themselves to sleep.  If you are ready to start getting your little one sleeping better and on their own through the night, contact me or schedule a free, 15 minute phone consultation to learn how I can help!